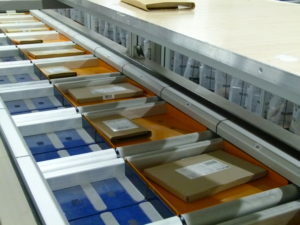 Conveyor Networks will install an automated picking and packing system covering three floors. The system will include conveyor modules, packing machinery, automated label print and apply and intelligent routing and sorting. Software will also be provided by Conveyor Networks’ associate business imio Software Solutions Ltd. It will manage the interface between the PLC control system and the host WMS platform, controlling the flow of data between both programs to provide real time operational visibility and tracking capability. The new system will use cardboard cartons rather than plastic bags, remaining compliant with Pets At Home’s sustainable packing policy. Once implemented the warehouse will be capable of supporting Pets at Home’s future expansion plans of 100% growth in parcel volumes over the next five years.